The first photos of the upcoming theatrical release of Harry Potter and the Goblet of Fire director Mike Newell's adaptation of Charles Dickens' Great Expectations have been released online. 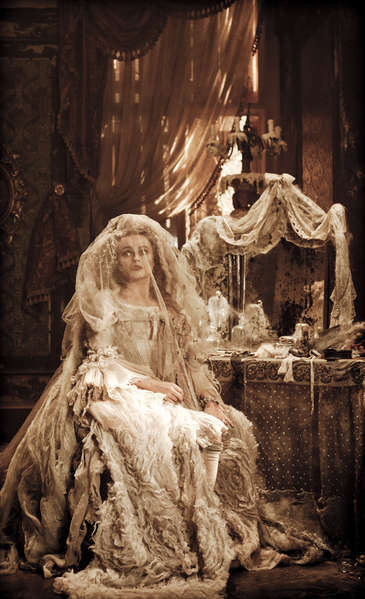 The new version of the story stars several familiar faces from the Harry Potter films, including Ralph Fiennes, Robbie Coltrane, Helena Bonham Carter, who plays Miss Havisham as can be seen below, and Jessie Cave, who portrays the elder Biddy. Photos of Helena, via Deadline, and Jessie as Biddy from Pindippy.com can be found in our galleries. Jessie commented today about her work in the film, which she has completed shooting. 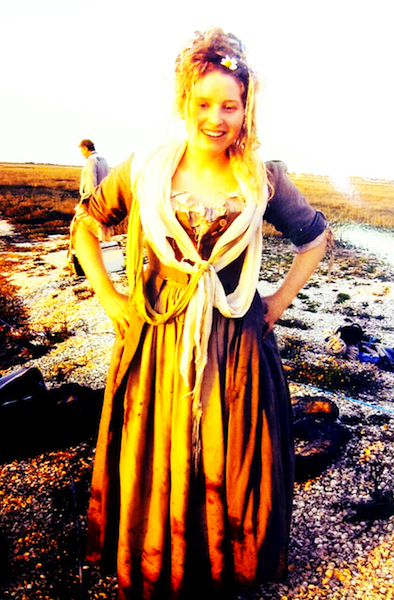 This week I finished filming the role of Biddy in Great Expectations, a BBC Film directed by (THE COOLEST GUY IN THE WORLD) Mike Newell. (THE COOLEST LADY IN THE WORLD) Helena Bonham-Carter is also in the film, along with Olly Alexander AKA Cousin Archibald! Olly and I were in our first job together: Summerhill. Bebe is in the film, too, playing little Biddy. These people and the sequence of events make me very happy. The BBC Films title currently has no set release date. Ohoh looks like it's going to be an awesome film! Seeing Helena all that, it reminds me of her role in Alice in Wonderland. Amazing! I love Helena's costume! So happy to see Jessie there too! Those pictures of Helena look so freaken amazing!!!!!!! This looks cool, and I love that they are working together! 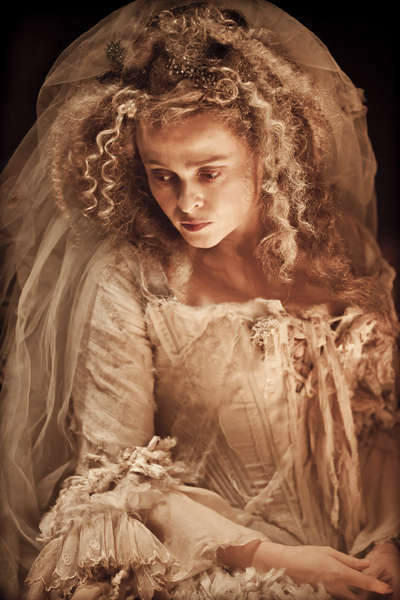 Looking forward to seeing this, Helena looks fab!